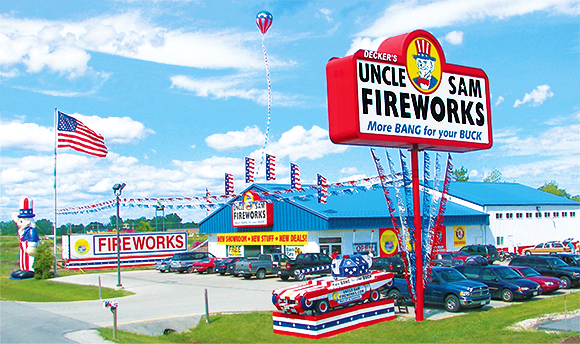 Fireworks season is from Memorial Day weekend (in May) to Labor Day (in September). Also open for Christmas and New Years. Please no sales solicitations. Do not add email to mailing list. Address 1690 E Deerfield Ave.
on the frontage road (Deerfield Ave).